For the purposes of remembering the deceased brethren in the prayer of the friars, a short record is always kept by the Friars of the main points of their life and ministry. 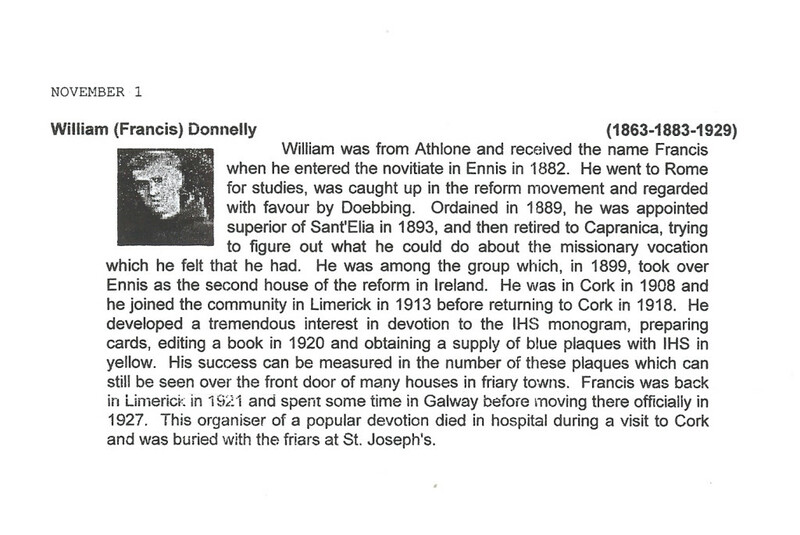 It should be noted that William was Fr. Francis’ baptismal name; Francis was the name he was given when he was received into the Order. He was professed in 1883.